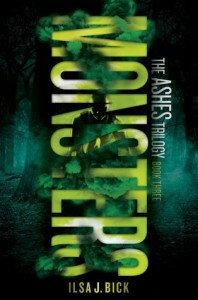 Review Catch Up: Monsters by Ilsa J Bick - Liz Loves Books.Com. Thank you for the review copy via netgalley. The Changed are on the move. The Spared are out of time. The End…is now. So here we are at the end of the “Ashes” trilogy from Ilsa J Bick, a series I am very sad to say goodbye too as I have loved every minute. For me personally this was like a breath of fresh air when it comes to conclusions to a trilogy as I have had a few disappointments lately – not so here. This is a tome and rightly so, the author has taken the time to give her characters a proper send off – and it is beautifully done…yet I feel that one day, yes one day there may be more….Here’s hoping. This is a complicated story – has been throughout. 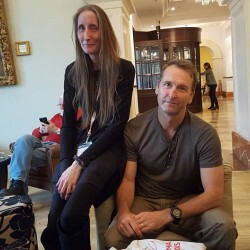 That is a good thing – multi layered, action packed and intense as always, I love the way that, despite her writing for the YA genre, Ms Bick assumes an intelligence of her readers that other YA authors sometimes do not. There are many character arcs and settings, all blending together and connected by various links, often unexpected, always intriguing and clever. You will need to put your brain firmly in gear to keep up – but it is also a great deal of fun. There are no punches pulled – often the writing is dark and terrifying, the “zombie” aspects are imaginative and different to the norm, I often shivered whilst reading. I loved the conclusion – the main story complete and yet so many roads still to travel, and some great things left to the readers imagination. All in all I would highly recommend this trilogy.